“The most important house of its date in the county” – Sir Nikolaus Pevsner. ‘Wido holds of Roger Hasewelle [Halswell in Goathurst]. Alward held (it) T.R.E. and paid geld for 1 hide. There is land for 2 ploughs. In demesne are ‘half a hide and half a virgate and’ 1 plough and 2 serfs and (there are) 2 villeins and 3 bordars with 1 plough ‘and the rest of the land.’ ‘There are 2 beasts and 10 sheep.’ There are 14 acres of wood (land). It is worth 25 shillings. ‘When he received it, 17 shillings and 6 pence’. ‘Wido holds of Roger Arundell – Halswell. Alward held it in the time of King Edward and paid geld of one hide. There is arable for two ox-teams. In the desmene ther is one ox-team and two serfs, two villeins, three cottars with one plough. There are fourteen acres of woodland. It is worth twenty-five shillings’. -1285 Henry [de Newburgh] gives a mesne tenancy to Taunton priory. It was recorded only in 1285. -1285 Peter of Halswell holds Halswell for 1/4 knight’s fee. Peter claimed to be the heir to Ralph, son of Robert (d.1242-3). -1303 William of Halswell holds 1/8 knight’s fee.9 William of Halswell had land in Halswell in 1314 and 1327. He died between 1329 and 1346. -1318 William of Halswell is granted a license to have mass celebrated in the ‘Oratory’. -1334 William de Swelle or Sewolle holds land at Spaxton and Goathurst. -1428 Another William Halswell may have held the fee.13 He is recorded in 1394. -E.C15th A John and Robert Halswell are recorded. -L.C15th Another Robert (d. 1483?) is recorded later in the 15th century. This Robert is thought to be father of John Halswell (d.1528) and Nicholas Halswell (d.1528). -1528 Nicholas Halswell, a prebendary of York and founder-member of the College of Physicians, bequeaths to his young and fatherless nephew Nicholas Halswell (1512 – 1564) a chalice, some altar vestments, and presumably this uncle’s lands. -Nicholas Halswell (1512 – 1564) had a career at the Middle Temple and he was fairly active with local affairs. He was in possession of property in Hampshire, Essex, Norfolk, Somerset and Dorset. He married Margery Tremayle (co-heir of Cannington Estates). He was father to eight recorded children including Robert Halswell. -1536 A receipt for the ‘building of the manor of Halswell’ suggests that there were structural changes to the southern range. -1548-1603 Nicholas Halswell acquires Chantry lands. -1558 Nicholas Halswell obtains a plot of land to the north of the Chancel, St Edwards Church, Goathurst, upon which to build ‘an Ule or Chapell for himself and his heirs forever’. -1564 Nicholas Halswell dies and holds the manor on his death. -1564 It is thought that Margery, widow of Nicholas Halswell, held Halswell until her death in 1573, when she was succeeded by Sir Nicholas (son of her son Robert). However, it is also thought that on Nicholas’s death in 1564, the estate passed on to his son Robert Halswell, and that Sir Nicholas Halswell succeeded in holding Halswell when Robert died in 1570. -1570 Robert Halswell dies.27 Robert was buried on 29.09.1570. -1570/1573 Sir Nicholas Halswell (1566-1633) succeeds in holding Halswell. Sir Nicholas Halswell MP (1566-1633) married Bridget, daughter of Sir Henry Wallop of Farleigh Wallop. They had six sons and three daughters. A memorial is in St Edwards Church. -1612 Robert Halswell (1588 – 1626), Sir Nicholas Halswell’s eldest son, lives at Halswell after his marriage in 1612 as the expected heir.30 Robert took his seat in parliament in 1614. -1626 Robert Halswell pre-deceases his father in 1626. -1628 Sir Nicholas conveys Halswell to his second son Henry (d.1636). -1633 Sir Nicholas Halswell dies. -1636 Henry dies unmarried and is succeeded by his brother the Revd. Hugh Halswell (d. 1672). Hugh was a doctor of divinity and proctor of Oxford University in 1627. 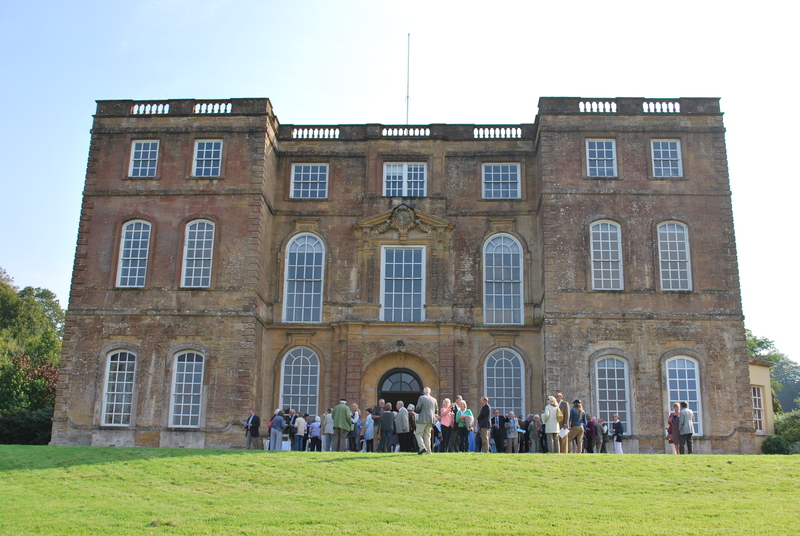 -1667 The manor is put in trust for Hugh’s grandson, Halswell Tynte (1649-1702) – the son of Jane Tynte (d.1650), Hugh’s daughter. Jane Tynte married John Tynte of Chelvey (1617-79). -1672 The Revd. Hugh Halswell dies.39 Hugh is buried in Goathurst. -1689 1st Baronet Halswell Tynte (1649-1702) rebuilds the north front of Halswell. -Halswell Tynte was granted a Baronetcy in 1673 and was buried in Goathurst. -1702 1st Baronet Halswell Tynte dies and is succeeded by 2nd Baronet Sir John Tynte (1683-1710). -2nd Baronet Sir John Tynte married Jane, the heiress of Sir Charles Kemeys (1651- 1702), in 1704. -They had three sons Halswell (1705 – 1730), John (1707 – 1740), and Charles (1710 – 1785), and a daughter Jane (1708 – 1741). All their grandchildren died young, except the daughter of Jane also called Jane (1738 – 1825). -1710 2nd Baronet Sir John Tynte dies and his son succeeds: the 3rd Baronet Sir Halswell Tynte MP (1705-1730). -1730 The 3rd Baronet Sir Halswell Tynte dies and is succeeded by: 4th Baronet Sir John Halswell Tynte (1707-1740). -Baronet Sir John Halswell Tynte held the Rectory at Goathurst and never married. -1740 4th Baronet Sir John Halswell Tynte dies and the 5th Baronet Sir Charles Kemeys Tynte (1710-1785) acquires Halswell. Sir Charles re-landscapes Halswell Park. -5th Baronet Sir Charles Kemeys Tynte, MP Somerset, married Anne Busby. He also acquired Chelvey in 1740, and Cefn Malby from his mother in 1747, taking his mother’s maiden name, Kemeys, upon the inheritance of her family estate, Cefn Malby. -1785 5th Baronet Sir Charles Kemeys Tynte dies and the estate is left to his widow, Lady Tynte. -1798 Lady Tynte dies. Her niece Jane (d.1825) had married Colonel John Johnson on 19 Feb 1765. On inheritance of Halswell they assumed the name of Kemeys Tynte as directed in the Will of Sir Charles Kemeys Tynte. They had a son (b.1778) Charles Kemeys Tynte, MP for Bridgwater..
-1950, Halswell sold and the estate broken up. 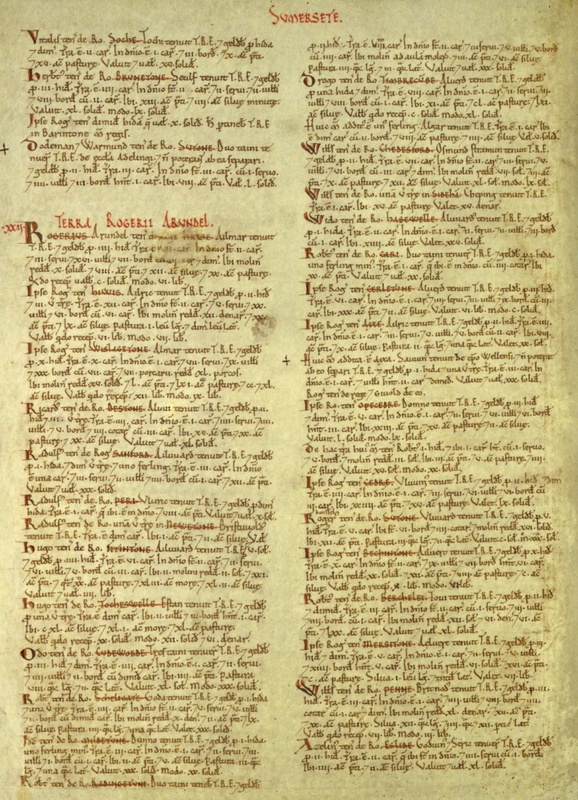 Domesday Book entry for Halswell and Goathurst, published 1086, National Archives, Kew.